The Confraternity was formed in 1975 to assist Brothers football clubs and players. From relativity humble beginnings it has grown as the need for it has grown. 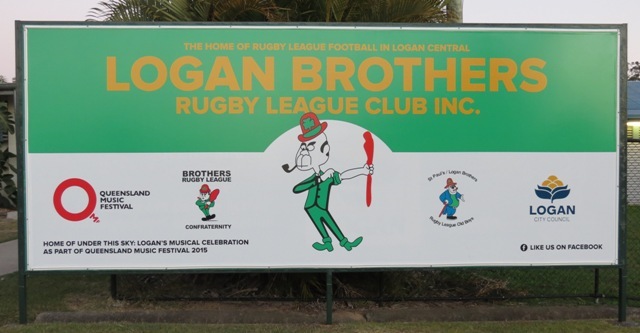 Many Brothers clubs have received advice and assistance particularly in their development of their licensed clubs both prior to and after the introduction of poker machines in Queensland. 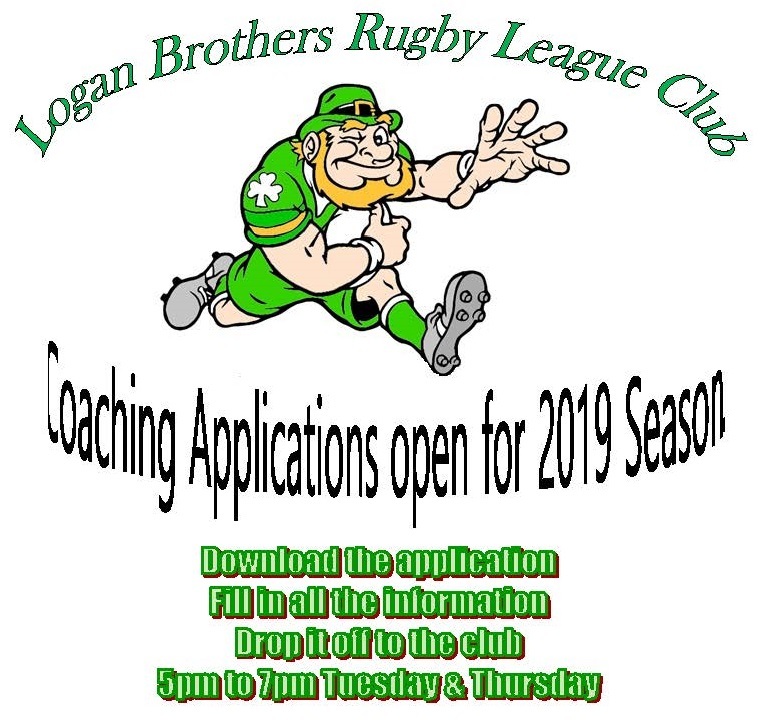 Assistance has been provided to many Brothers Clubs over the years to enable them to remain competing in their Local League Competitions making representations on their behalf to the QRL. Perhaps one of the most widely known achievements of the Confraternity has been the establishment of the Confraternity Carnival which has gone from strength to strength and is arguably the best and certainly the biggest of its kind in Australia. The Confraternity sponsors the carnival directly and the Brothers football and leagues clubs donate money and resources to support the participating schools. 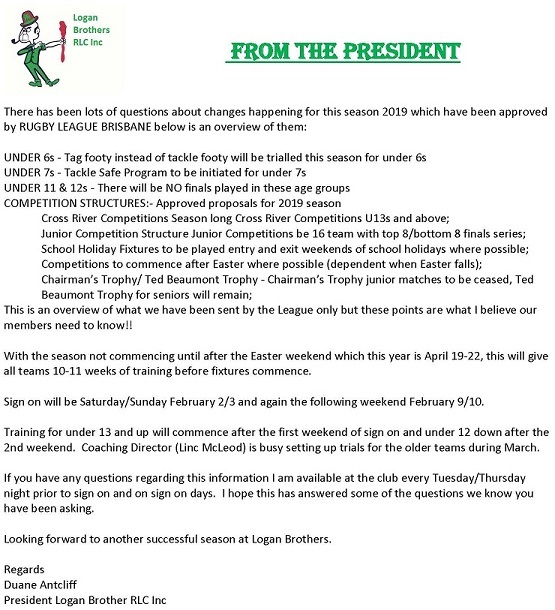 One little known fact is that the Confraternity was a major player in the establishment of the inaugural state wide league competition in 1996- The Queensland Cup. Along with many other interested parties the concept and a detailed proposal was submitted to the QRL for consideration and eventual introduction. 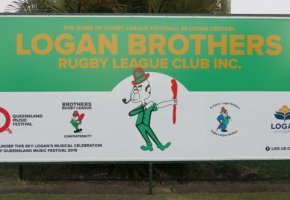 The Brothers football club in Brisbane was omitted twice from this competition and was only reinstated after a strong and determined appeal to the QRL by the Confraternity. They were last excluded in 2005. We believe that our organisation is unique in sport as no other group is united by a common bond as we are. Eighty or more delegates meet twice a year in March and October using one of the many clubs as a host venue. These conferences are where a rich source of knowledge and ideas can be gained by interacting with other clubs and gaining new ideas and initiatives which may be able to be implemented at delegates own clubs. The March meeting is when the AGM is held and office bearers elected. The Management committee consists of President, Secretary, Treasurer and also three Vice-Presidents (Southern, Central and Northern) A wide array of guest speakers including the Confraternity sponsors provide up to date information on many and varied topics e.g. what sponsors products are the best sellers,, new government rules and regulations, new audit requirements, applying for Grants, QRL policies to name just a few. The Association also owns the Leprechaun Trademark that is worn on the Jerseys and Clothing of all Brothers clubs albeit with all logos having slight and subtle variations and ensures the integrity of its use is maintained and the unauthorised use is curtailed. The football and Leagues clubs have a valued association with the Queensland Independent Secondary Schools Rugby League. The Confraternity provide financial support to the QISSRL who are responsible annually for the running of the biggest schoolboys rugby league carnival in Australia known as The Confraternity Shield or ‘Confro’. Ingham, Emerald, Rockhampton, Yeppoon, Townsville, Cairns, Innisfail, Mt Isa and Darwin. In Brisbane former Brothers clubs still in existence are Pine Central Holy Spirit and Rochedale. 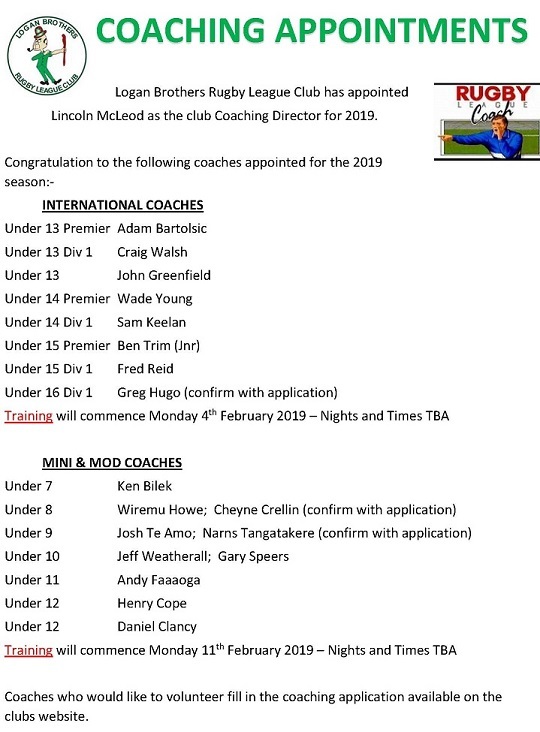 Coaching Application PDF Please complete in full before handing to the club.